Hey guys I have just picked up an 02 f4i and I'm not gonna lie this wiring is CHOPPED. Almost makes me regret buying it once I realized what a peice this thing was, didn't quite realize the extent of work this thing needed but oh well, I'm $500 into maintenance and I got what I asked for. Can't turn back now, this is what happens when you buy the cheapest f4i on Craigslist. I have a ridiculous amount of paint and bondo work to do on top of it. Enough ranting about my purchase, basically on the wiring diagram for the turn signal relay, you will see that our bikes call for a 2 pin relay on a 3 pin connector. 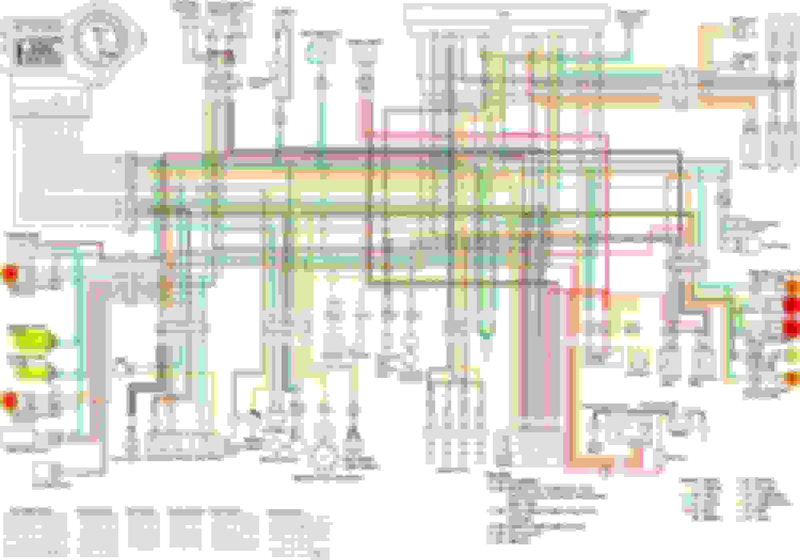 There is a gray wire and a whitegreen wire going to it ON THE DIAGRAM. My issue is that I have the whitegreen and gray wires, but I also have a wire that is solid green, aka the ground for these bikes. Why do I have an extra ground? I know I'm not crazy, the blinkers only begin to turn on when I hook that connector up to a relay. What is going on? Look all the way bottom left for the turn signal relay. when i hook up all 4 corners on the harness to leds (i know this should cause it to blink fast on a regular relay) to a 3 pin relay (i dont have the oem relay, again, bike is seriously chopped to hell) i dont get a fast blink i just get a steady light. trying to figure out what is wrong and how this extra ground wire might play into it. so the ground is not always needed for all relays? im using a flasher off a 95 corolla, ill probably get 1 made for leds like you posted or just add some resistors. im just trying to figure out why my bike is differing from the diagram, making me question what is real? 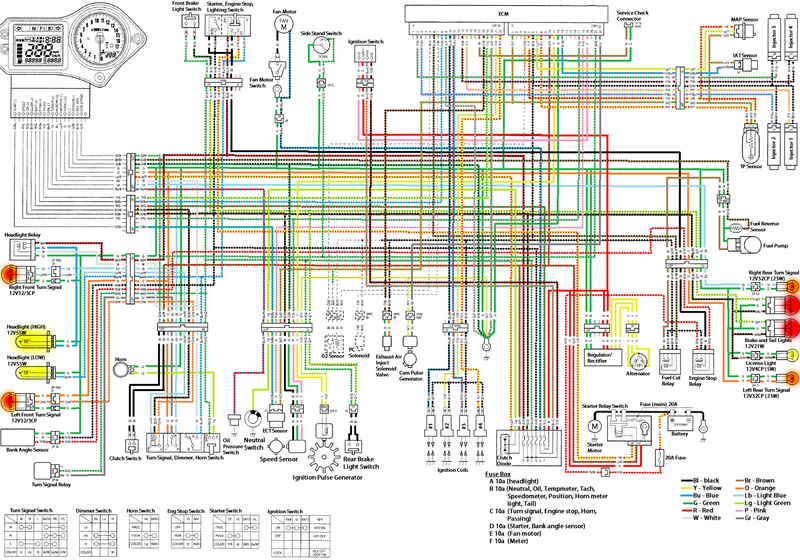 Quick Reply: Wiring diagram is wrong? Or is my harness the issue?